If you're looking for a mental edge in the gym, here are 8 key foods for the fitness-minded bodybuilder. Have you ever shown up at the gym and pondered what to do that day? If so, maybe it's time to fortify your diet with an arsenal of foods with proven brain-boosting powers. Indeed, mounting research is showing that various nutrients found in certain foods and drinks can help give you an edge. After all, lifting those heavy weights requires mind over matter. So feed your brain by adding these items to your clean-eating program for a mental focus that's as sharp as the cuts on your body. 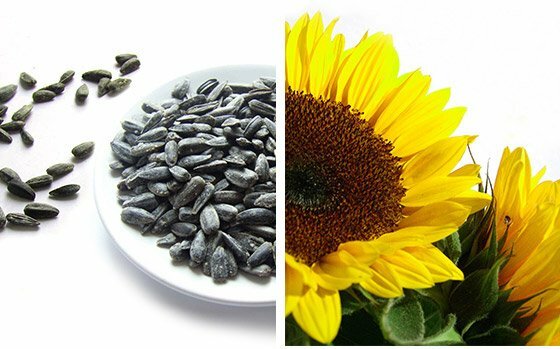 Studies have linked higher intakes of sunflower seeds and other vitamin-E-rich foods with improved brain functioning. The seeds of this sun-worshiping plant are also a stellar source of thiamine, a B vitamin that helps your body's cells convert carbohydrates into the energy your brain and muscles use to power themselves. Over the past couple of decades, vitamin D has become the darling nutrient among nutrition researchers, and it's the real deal. This sunshine vitamin has been shown to offer protection from a number of maladies, and mental decline is one of them. It appears that our brains require vitamin D for a variety of functions, including nerve signalling. 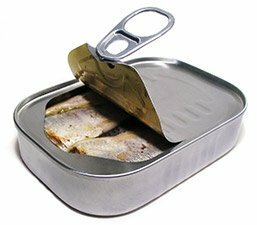 The current daily adult requirement for vitamin D is 600 IU, and a two-ounce serving of budget-friendly canned sardines delivers about 150 IU. For the health of your brain and other areas of your body, it's a good idea to also take a daily vitamin D supplement, especially during the winter months when vitamin D production from the sun diminishes greatly. Sardines also supply healthy amounts of omega-3 fats, making it a definite brain-friendly catch of the day. Eggs—more specifically the yolks—are your go-to source for choline. Though choline doesn't get much ink, this essential nutrient is a known precursor for acetylcholine, a neurotransmitter involved in cognition and memory.4 So if you regularly forget where you put down those dumbbells, make sure to get cracking. 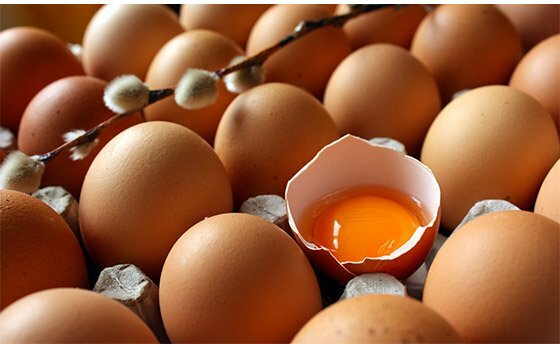 Eggs—more specifically the yolks—are your go-to source for choline. You can now seek out omega-3-enriched eggs for an extra dose of this brain-benefiting fat. How? Well, it's likely that naturally occurring stimulants in yerba mate such as theophylline work to crowd out the brain neurotransmitter adenosine, which acts as a central nervous depressant and thereby promotes fatigue. 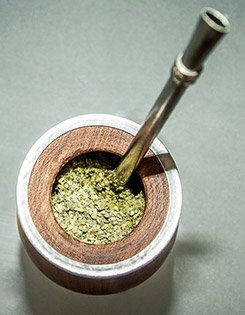 The benefit of using yerba mate for a jolt of energy is that it doesn't bring about the jitters in those who are susceptible to this unwelcome side-effect from drinking coffee. You can find loose-leaf or bagged yerba mate at many health-food shops or tea-focused stores. 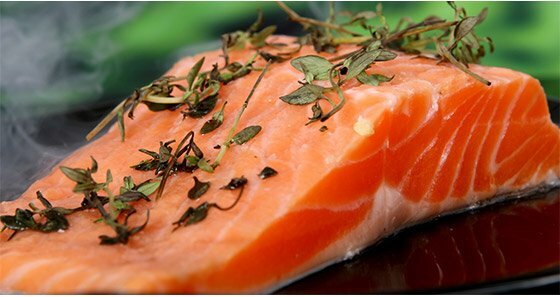 Studies suggest that higher intakes of the long-chain omega-3 fatty acids eicosapentaenoic acid (EPA) and docosahexaenoic acid (DHA) that are present in salmon can help fight off motivation-sapping depression. These mega-healthy omega-3 fats help regulate certain brain neurotransmitters such as serotonin and dopamine that play a role in mood. Omega-3 also works to reduce inflammation in the brain, which can lessen psychiatric disturbances. Salmon is also a source of vitamin D, which can help keep your brain as fit as your six-pack. 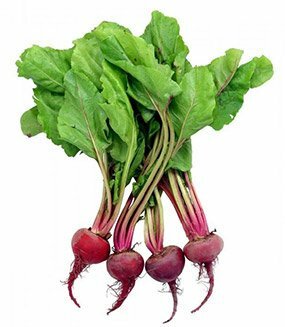 The tastiest way to eat these flushed gems is roasted in the oven, but beet juice, which is particularly chock-a-block in nitrates, can be whizzed into protein shakes. You'll also find nitrates in spinach. A number of studies have shown that nitrate's ability to bolster blood flow can also improve muscular performance during exercise. Scientists at Tufts University discovered that a diet rich in walnuts may improve brain power, thereby making it easier for you to remember this list of brainy foods. A synergy between the polyphenol antioxidants and omega-3 fatty acids in walnuts might be at work here to keep you as sharp as whip. Iron helps transport oxygen throughout the body, including to the brain, which needs oxygen to function properly. Female athletes are particularly susceptible to iron deficiency because of monthly menstrual blood loss and poor intakes. A study published in the "American Journal of Clinical Nutrition" found that women with healthy iron levels performed better on mental tasks and completed them faster than did those with poor iron status. Beef remains a stellar source of a highly absorbable form of iron, but consider splurging on more nutrient-dense grass-fed cuts. 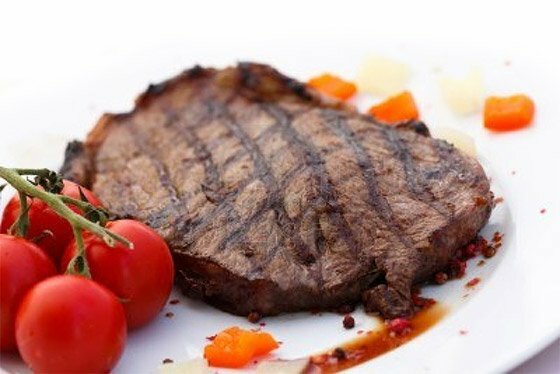 Red meat is a natural source of creatine, the same compound shown to offer strength-boosting powers. Mangialasche, F., Xu, W., Kivipelto, M., Costanzi, E., Ercolani, S., Pigliautile, M., ... & Mecocci, P. (2012). Tocopherols and tocotrienols plasma levels are associated with cognitive impairment. Neurobiology of Aging, 33(10), 2282-2290. Maras, J. E., Bermudez, O. I., Qiao, N., Bakun, P. J., Boody-Alter, E. L., & Tucker, K. L. (2004). Intake of ?-tocopherol is limited among US adults. Journal of the American Dietetic Association, 104(4), 567-575. Toffanello, E. D., Coin, A., Perissinotto, E., Zambon, S., Sarti, S., Veronese, N., ... & Sergi, G. (2014). Vitamin D deficiency predicts cognitive decline in older men and women The Pro. VA Study. Neurology, 83(24), 2292-2298. Zeisel, S. H., Da Costa, K. A., Franklin, P. D., Alexander, E. A., Lamont, J. T., Sheard, N. F., & Beiser, A. (1991). Choline, an essential nutrient for humans. The FASEB journal, 5(7), 2093-2098. Fischer, K., Colombani, P. C., Langhans, W., & Wenk, C. (2002). Carbohydrate to protein ratio in food and cognitive performance in the morning. Physiology & behavior, 75(3), 411-423. Prediger, R. D., Fernandes, M. S., Rial, D., Wopereis, S., Pereira, V. S., Bosse, T. S., ... & Costa-Campos, L. (2008). Effects of acute administration of the hydroalcoholic extract of mate tea leaves (< i> Ilex paraguariensis) in animal models of learning and memory. Journal of Ethnopharmacology, 120(3), 465-473. Alkhatib, A. (2014). Yerba Mate (Illex Paraguariensis) ingestion augments fat oxidation and energy expenditure during exercise at various submaximal intensities. Nutrition & Metabolism, 11(1), 42. Beydoun, M. A., Kuczmarski, M. T. F., Beydoun, H. A., Hibbeln, J. R., Evans, M. K., & Zonderman, A. B. (2013). Omega-3 Fatty Acid Intakes Are Inversely Related to Elevated Depressive Symptoms among United States Women. The Journal of Nutrition, 143(11), 1743-1752. Presley, T. D., Morgan, A. R., Bechtold, E., Clodfelter, W., Dove, R. W., Jennings, J. M., ... & Miller, G. D. (2011). Acute effect of a high nitrate diet on brain perfusion in older adults. Nitric Oxide, 24(1), 34-42. Willis, L. M., Shukitt-Hale, B., Cheng, V., & Joseph, J. A. (2009). Dose-dependent effects of walnuts on motor and cognitive function in aged rats. British Journal of Nutrition, 101(08), 1140-1144. Wu, L., Piotrowski, K., Rau, T., Waldmann, E., Broedl, U. C., Demmelmair, H., ... & Parhofer, K. G. (2014). Walnut-enriched diet reduces fasting non-HDL-cholesterol and apolipoprotein B in healthy Caucasian subjects: A randomized controlled cross-over clinical trial. Metabolism, 63(3), 382-391. Murray-Kolb, L. E., & Beard, J. L. (2007). Iron treatment normalizes cognitive functioning in young women. The American Journal of Clinical Nutrition, 85(3), 778-787. If you're watching your waistline, here are the best low-carbohydrate foods to help keep the fat off. Add them to your shopping list!